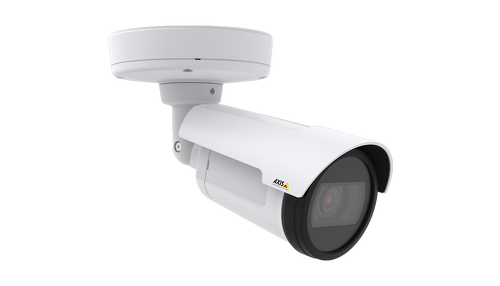 With a varifocal, P-Iris lens, AXIS P1435-LE provides excellent image quality at up to 60 frames per second. The P-Iris control provides optimal depth of field, resolution, image contrast and clarity. The camera offers two lens alternatives; a wide 3-10.5 mm lens for wide area surveillance and a tele 10-22 mm lens for telephoto zoom or surveillance from a distance. In addition, the camera supports Axis Corridor Format, pixel counter, remote zoom and focus. 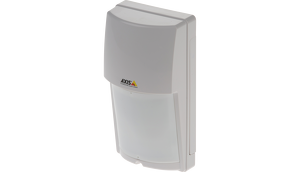 AXIS P1435-LE offers OptimizedIR, Axis power-efficient LED technology that provides an adaptable angle of IR illumination. In low light, OptimizedIR,automatically adapts the exposure of the camera resulting in high-quality and low-noise video. The improved IR LED illumination is perfect for discovering objects in a range of up to 30 meters (100 ft) using the wide 3-10.5 mm lens or 50 meters (164 ft) using the 10-22 mm tele lens.